What Can You Expect Before & After You Have Teeth In One Day Implants Installed? Losing teeth is a worry enough, without having to worry about the solution too! Dental implants are nothing to fear and provide a aesthetically perfect and functionally brilliant solution for edentulous. The leading edge Teeth In One Day treatment makes life even easier and provides you with the opportunity for fast and effective dental implants. The treatment is non-invasive, requiring only one day of surgery that typically lasts a couple of hours. Before Teeth In One Day, it is likely that you are suffering from tooth loss and are looking for a permanent solution. Otherwise, why would you want dental implants? Missing teeth can cause many problems such as; distress, problems with eating and talking, and can knock your self esteem and confidence too. Left untreated, edentulous can cause further problems to the jaw. Teeth In One Day is one of the most powerful solutions available. Believe it or not, the Teeth In One Day implant only requires a day of actual treatment to install, and to make that happen all you need to do is arrange a consultation. 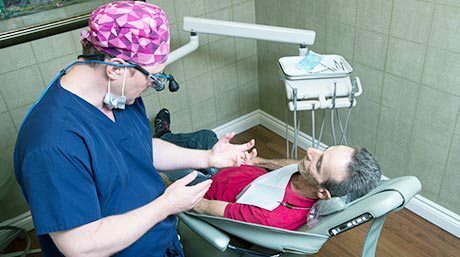 Your specialist or prosthodontist will discuss aspects of the treatment with you during this initial meeting, and will assess your medical history to give you the go-ahead for the procedure. They will also use this time to plan the treatment, and will take diagnostics and measurements that can involve scans or x-rays. They will also decide whether any other teeth need removing before the new arch is implemented. Some prosthodontist use modern technology such as CAD to make detailed virtual implants that ensure perfect accuracy and aesthetics. For the most part this consultation will be fairly passive for you, and will just require that you co-operate with your specialist while they gather the information that they need. After the consultation, you have nothing more to worry about until treatment day. The treatment itself is nothing to worry about, and involves the fixing of implants to your jaw. No bone grafting is required for Teeth In One Day, and only 4 implants are used for a full arch of replacement teeth. The first thing you will notice after the Teeth In One Day is installed, is that you will have a full set of temporary fixed replacement teeth. These will be aesthetically appealing, and will be modeled according to he measurements taken earlier. Later on, when the implants have been fully healed, they will be easily replaced with a permanent set in a follow up appointment with your specialist. The permanent teeth will be more solid and finely tuned for perfect accuracy. For now, you can enjoy the fact that you can walk away on the day of surgery with a functional and comfortable set of teeth. The Teeth In One Day Implant is actually quite comfortable, even a day or so after they have been fitted. Having said that, you may experience some soreness. 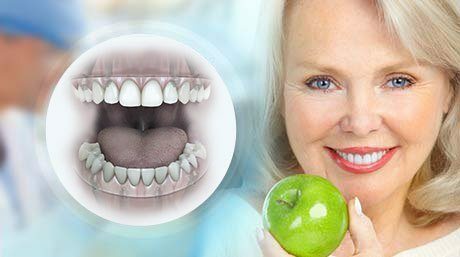 You will have, after all, been through dental surgery which could involve removing teeth as well as fitting multiple implants. Any difficulty chewing should resolve after a day or so. Soreness can vary between individuals, but tends only to last for a few days. Painkillers can be taken to reduce swelling and pain. The full healing process usually takes about 6 months, but can take as long as 8. An appointment will be arranged around this time with your specialist, who will check that the implants have fully healed, before fitting the permanent fixed teeth. Teeth In One Day dental implants require similar care to your natural teeth. You should brush and floss regularly, and avoid smoking and other habits that are bad for oral health. 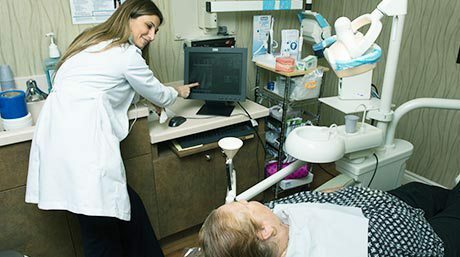 Your prosthodontist can advice on a course of action for aftercare and oral hygiene. The final expectation you can have for after your Teeth In One Day implant installation, is that you will end up with a fantastic set of fully functional and aesthetically beautiful replacement teeth, that look, feel, and act as if they were your natural teeth. Once the implants are set, and the permanent teeth are fixed into place, you can expect that they will last a lifetime, and that they will increase your quality of life, allowing you to eat, speak, and feel great! At Friedman Dental Group we specialize in the Teeth In One Day method of dental implants. We believe it is the most sophisticated solution available for edentulous, improving the quality of life and giving you stunning set of replacement teeth. If you want to find out more about Teeth In One Day dental implants, or you want to arrange a free consultation, contact us today.